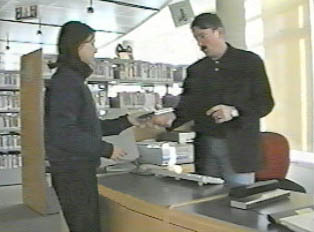 To use the public libraries, one needs to become a member; sometimes there is a fee. Membership fees are paid yearly. Most libraries lend books, magazines, and CDs and have newspapers to read. There is a limit on the number of items one may check out. The two biggest public libraries in Paris are the Bibliothèque François Mitterand (BFM) and Le Centre George Pompidou. There are also a number of specialized libraries such as cinema libraries or fashion libraries. "Services of a Media Library"